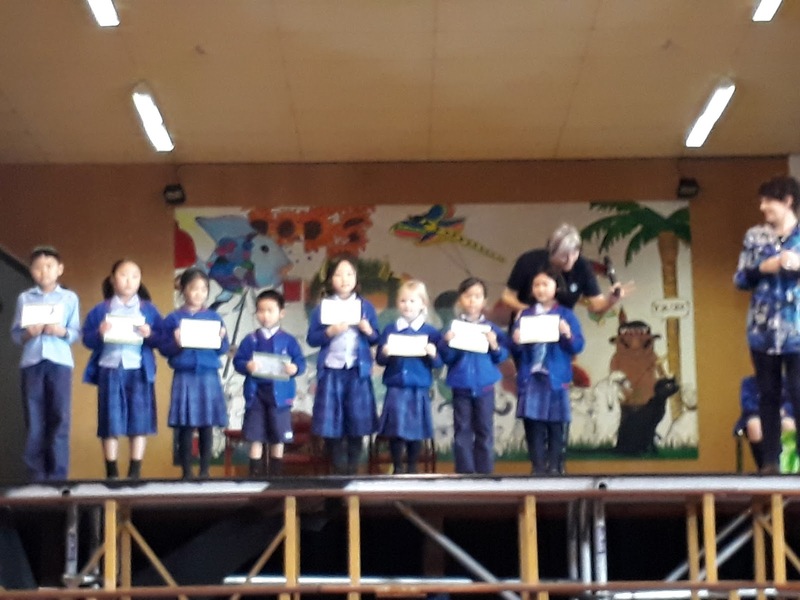 Sunnyhills School Environmental Blog: Sunnyhills Gets It's Travelwise sign! 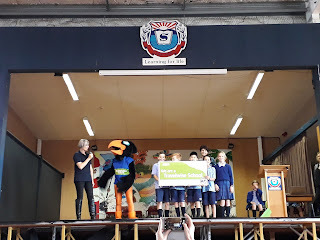 Sunnyhills had a special visit on the last day of term 2 from Max the Pukeko and Marianne from the Ministry of Transport. 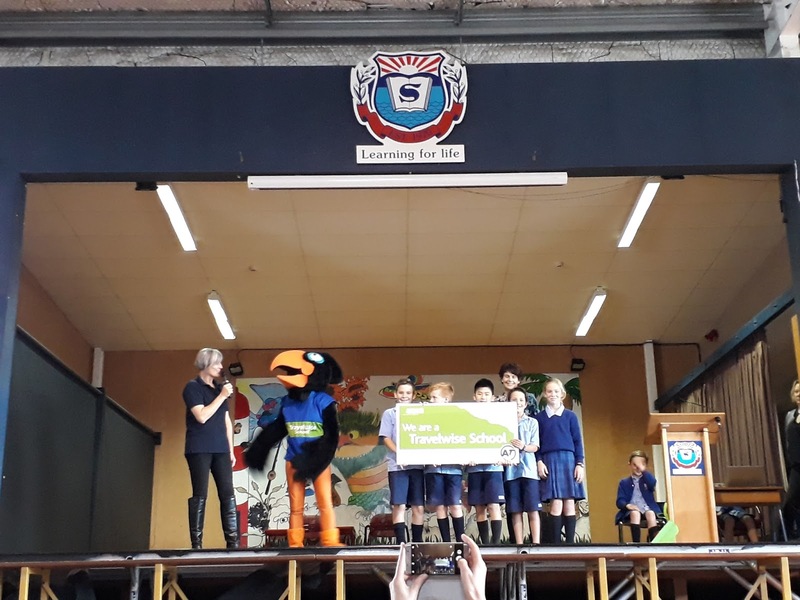 The school was presented with it's very own Travelwise sign. 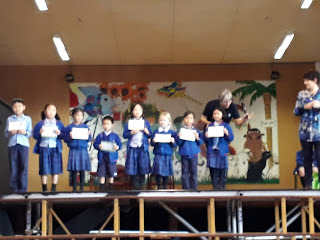 Some of the students who use walking school bus received merit certificates and special key rings to acknowledge the number of walks they had done.